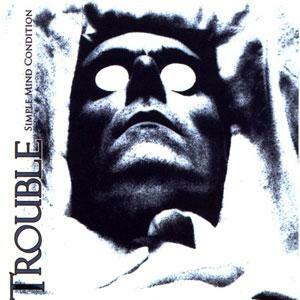 Trouble - "Simple Mind Condition"
Their first two albums, „Psalm 9“ and „The Skull“ were a manifestation: Vicious melodies, heavy riffs and an electrifying singer created the perfect mixture for timeless Doom songs par excellence, and this sort of music was at the same time role model for the following generation, and still do bands like Type O Negative, Anathema and My Dying Bride call these releases two of the most influencing ones in their life. Four albums and several tours later (with bands like Slayer, Motörhead and King Diamond), the band took some time off in 1995 and fans had to wait for seven years for a reunion, when in 2002 the original line-up (only the bass guitarist was missing) decided to start a comeback. With their new studio album, „Simple Mind Condition“, TROUBLE prove that the spirit of the old days has not vanished yet, and that they still are a constant in Doom affairs.